Download and practice a few of Dianna Kokoszka’s proven scripts and walk into your next appt. confident and prepared. The Buyer sees the market shift and now believes he can make any offer he wants and that the Seller will have to accept it. There are so many houses on the market. Let’s just low ball them and see what the Seller comes back with. AGENT: [Insert Buyer’s name], that sounds like it would work, yet let’s say you are the seller. How would you react when someone gave you a really low offer on the home you love and have cared for? BUYER: I’d probably be upset. AGENT: You’re right. They do get upset and they react by wanting to come back full price, or reject the offer all together and they have bad feelings towards you as a buyer. Here’s an idea. Let’s offer them a price that makes them think. A price that makes them think about accepting the offer rather than countering it. If you’re the seller, what would you accept? BUYER: I think I would come down some. AGENT: Great, let’s write an offer that we think they would take and stand firm if necessary. That way you get a fair price and a great interest rate, which is what you want, right? AGENT: [Insert Buyer’s name], let’s take a look at this as a money issue. To a seller $1,000 is $1,000. What I mean by that is when we ask the seller to give up $1,000 they reach into their pocket and take out $1,000. To a buyer $1,000 is $6 per month or 20 cents per day. You see, at 6% interest rate $1,000 off the price results in $6 off the monthly payment. BUYER: Well I want $20,000 off so I can save $120 per month. AGENT: $120 per month. I understand saving money is important. Let me ask you how long do you think you will live in the home? really want to upset the seller since we might not be living there for more than 5 years? BUYER: No, if you put it that way. AGENT: Why don’t we offer a price that is a win/win for both parties? One that you feel like you received a great payment and the seller feels like they received a great price. After all you like the home and we haven’t seen anything else that you like as much. Right? AGENT: Let’s write the offer that makes them accept it rather than counter it, and costs you more money in the long run. You do like the home don’t you? AGENT: Let’s write a fair price for both parties. OK? AGENT: [Insert Buyer’s name], I can certainly understand why you might take that approach and indeed it might work. Let me ask you this, are you going to try to buy just any house for your family or the best one? BUYER: The best, and at a low ball price. AGENT: So, best is your priority and if you can get it under value that would really make you happy? Right? AGENT: Well, which should I do, look for the best properties that meet your family’s needs or for a real steal? BUYER: Can’t you do both? AGENT: Well, yes and no. See, no smart seller is going to just give their house away and unless they’re desperate they won’t advertise that you can steal it from them. Right? AGENT: So, what we’ll do is search for the best home for you and then do our own quick market study to verify the value and then you can decide how to prepare your offer. Fair enough? AGENT: [Insert Buyer’s name], if you had to pay fair value, in a down market for the home your family is going to live in and love, that would be alright, wouldn’t it? AGENT: Good. You’re thinking like a smart buyer who loves his family. The Buyer has a “fear of the future” and worries that he might lose his job. With everything that is happening in the economy, we are afraid we might lose our jobs and not be able to make payments on a home. AGENT: [Insert Buyer’s name], I can appreciate that. So what it looks like you want is to make certain you can make the payments. Is that correct? AGENT: Great. You are currently making rent payments. Is that correct? AGENT: So there are people, like you, that rent property, right? AGENT: So let’s say you lose your job and can’t make the payments. Where would you go? BUYER: I’m not sure. We would have to find a place. AGENT: Fantastic. So regardless of where you live you are going to have to pay something for your living expenses, right? AGENT: So you could rent your home to someone else and still earn equity. Wouldn’t that be great to have someone else helping you save money? AGENT: [Insert Buyer’s name], let me assure you: What you are going through is normal. We call it “buyer’s remorse before you buy.” Generally, buyers wake up at 2 in the morning with buyer’s remorse. Thank goodness you have it over with and can sleep tonight knowing you’ve made a great business decision. Let’s own the home and have positive thoughts about how you are going to enjoy living here with your family. Fair enough? AGENT: [Insert Buyer’s name], I understand how you feel. Don’t you think many buyers might have the same concern right now? BUYER: I don’t know, is that what they say? AGENT: Sure, people are just evaluating their options more closely right now. When I look back on the many changes in the market, there are always buyers that buy in every market, and there are always sellers that chose to sell. You have a place to rent don’t you? BUYER: Well, yes we do. AGENT: Now all we have to do is decide today whether you want to take advantage of the lower interest rates and better housing prices or if you want to throw your money away on rent. What is it going to be? BUYER: I guess we were just nervous. Since we aren’t the only ones that feel that way, we should just buy and not pay rent. AGENT: Great, let’s do that. The Buyer has a “fear of the future” and is worried that they will pay too high an interest rate. What if we buy now and the interest rates go down again? AGENT: That’s an interesting point. Sounds like you want to save as much money as possible, right? AGENT: Great. Let’s look at the last year and the trend of interest rates. If you’ve had an opportunity to watch the business news in the last year you already know that interest rates have been going up every time the Fed meets, and they are looking at them to continually rise. So since you are concerned about saving money we should make an offer today while the interest rates are at a low [Insert current rate]. Don’t you agree? BUYER: OK, that makes sense. AGENT: [Insert Buyer’s name], if the interest rates dropped would that mean you would not want to own your own home? BUYER: No, not exactly, but we would like the lower interest rate. AGENT: Interestingly enough, most buyers want the lowest rate they can get. The question is, is the absolute best home that you chose to raise your family in more important or is the absolute best interest rate more important? BUYER: The home we raise our family in is more important. AGENT: [Insert Buyer’s name], then doesn’t it make sense to go ahead and just buy the home you really want now and refinance it later if the rates drop significantly? AGENT: Then let’s do the right thing and buy today. The Buyer sees the market shift but does not understand that it is a good time to buy. We don’t know if it’s really a good time to buy. Who knows what’s going to happen? AGENT: [Insert Buyer’s name], you’re right. No one knows what will happen in a minute, an hour, a day, or years from now. All we know is what is happening right now, this minute. And right now home prices are the best they have been in a long time and interest rates have been steadily increasing. Let me ask you, are you interested in finding a great home for your family and saving money? AGENT: Then we need to buy now. May I explain? AGENT: Today we know the price and we know the interest rate. If the economy picks up what generally happens to interest rates? BUYER: I think they go up. AGENT: Right. And what do you think happens to prices? BUYER: They will also go up. AGENT: That’s correct. So doesn’t it make sense to save money and care for your family by buying today? AGENT: [Insert Buyer’s name], what specifically makes you think this is not a good time to buy? BUYER: Prices could go lower. AGENT: Yes they could and while you’re waiting for prices to go lower the interest rates could go higher. What do you think would have to happen for you to save money? AGENT: [Insert Buyer’s name], a home at $300,000 at 6% interest has a principle and interest payment of $1,798. If interest rates go up to 7% — just a 1% increase — then the house would have to drop in price to $270,479 to have the same payment. Do you think a seller is going to drop his price by almost $30,000, which is 10% of his asking price, and then buy a home where he’ll be paying a higher interest rate and making larger payments, or do you think he’s going to raise the sale price of his home to help him when he buys? BUYER: I guess he would just raise his price. AGENT: You’re right. Let’s buy now so we can save money and take advantage of the interest rate and lower prices right now. OK? The Buyer has a "fear of the future" and is concerned that property values will continue to go down. We are really worried that the property’s value will go down and we’ll lose money. Agent: [Insert Buyer’s name], I understand. Other than property values possibly going down, is there any other reason you wouldn’t buy today? Buyer: No, that’s what I’m afraid of. Agent: Let me ask you, how many years do you plan on living in this home? Agent: Terrific! And when do you feel you would lose money? Isn’t it when you sold the home? Agent: Let’s go back and look at the recession cycles. Other than the Great Depression no recession has ever lasted more than 16 months and, historically, nationwide average home prices have always gone up. So let me ask you, are you willing to have someone else living in this house tomorrow knowing you could own it today? Buyer: Well, we do like the house. Agent: Great, let’s buy it. Buyer: We’re still concerned about losing money. Agent: Just out of curiosity do you enjoy paying rent and helping someone else earn equity? Agent: Well whether you buy this home or not, you will still have to pay money to live somewhere, correct? Agent: As long as you’re paying to live somewhere, don’t you think you deserve to have the tax advantages and build equity for yourself by owning your own home today? Agent: Let’s get started today on building your equity. Go ahead and sign the contract and let’s buy this home. OK? Agent: [Insert Buyer’s name], I’m curious, what makes you feel prices are coming down? Buyer: That’s what I’ve heard and I’ve seen price reduction signs on homes everywhere. Agent: I agree. Now let me ask you what has been happening to interest rates over the past few months, have they gone up or down? Buyer: They have been going up. Agent: Right. Well looking at this mortgage calculation graph you’ll see that a $200,000 loan at today’s interest rate of 6.5% would be $1264.14 a month, and when interest rates take another jump to 7% it would be $1,330.60 a month which means that you would pay $66.46 more per month. So the price of the home would actually have to come down $10,500 to have the same payment as today. Do you think that we should hold off on buying in hopes that prices will drop before the mortgage rates go up? Or should we make an offer based on the reality of today? Buyer: Let’s go with reality and make the offer. Situation: The Buyers sees the market shift and believes that he has all the time in the world to look and buy. Buyer’s Objection: There really is no rush; there are a lot of houses on the market. Agent: [Insert Buyer’s name], you’re correct; there are many homes on the market. Let me ask you how many homes are in great shape and would be a home your family would love and enjoy? Buyer: I don’t know. I would assume many of them. Agent: Then we only want to look at the great homes that you’ll enjoy, correct? Agent: Buyers are looking at homes every day and when you look, you shop by comparisons correct? Agent: Well when a buyer finds a home that fits their needs and it is in great shape, they usually react quickly and buy the home taking it off the market and leaving what’s left. Do you want someone else’s leftovers or do you want to choose the home that you and your family will enjoy? Buyer: I don’t want someone’s leftovers. Agent: Great. Then we need to look now and buy a great home. Don’t you agree? The Buyer sees the market shift and believes that he has all the time in the world to look and buy. There is really no rush; there are a lot of houses on the market. Agent: [Insert Buyer’s Name], there certainly are many homes on the market. Let me ask you, has there ever been a time when you were out shopping and you saw something on sale that caught your eye, and yet you didn’t have the time right then to stop and buy it and you thought “there are so many I can come back later and buy it” only to find when you went back the best ones weren’t available anymore? Agent: Well this time is like that time, may I explain? Agent: Even through there are many homes on the market the good ones always sell. Everyone is looking for the best home for the best value. So regardless of the number of homes the best ones still sell quickly. You do want the best home with the best value don’t you? Agent: Then let’s buy today and make this a great home for your family. OK? I’d like for my motivation to match your motivation – and what I mean by that is, if you want to buy a home yesterday then you would love it if I called you every day with new listings for you to look at. Wouldn’t you agree? And if you don’t want to buy a home for 6 months to a year, I would drive you crazy if I called you every day, right? So I know how to follow up with you best, tell me, on a scale from 1-10, with 10 meaning you have an immediate need to buy a home and 1 means you’re just curious, how would you rate yourself? (Anything less than a 10) – What would have to happen to bring your motivation to a 10? Are you paying cash or do you require financing? I assume that because you contacted me directly that you’re not currently obligated to another Agent, is that correct? There are two numbers that are important here. One is the amount of money that you feel you can spend on a house, the other is what the bank feels you can spend. As long as those two are in agreement, we’ll have no problem. However, if those two numbers are a little out of sync, you may run into a problem. So, when is the best time for my lender to give you a call to make sure that those two numbers are in alignment – weekdays, weekends, or in the next 15 minutes? Let me explain how I work … The first day we’ll be looking at 3-4 homes in 3-4 different areas. You’ll need to tell me exactly what you like and dislike about each of them. Based upon that information, I’ll be able to get a clear picture in my mind of what will ultimately meet or exceed your expectations. The next day we’ll look at another 3-4 homes, any one of which you’ll be able to buy. We’ll decide on which home is the best, write and negotiate the contract, and by noon – at the latest 3:00 – you’ll be under contract. Now, that’s the way that it works, do you have any questions before we start the process? Mr./Mrs. Buyer, I understand you are anxious to find a home. Tell me, has your company stipulated that you must look on the weekends only? I ask this because most people prefer to show their homes and negotiate during the week. Since you have a short time scheduled, I would suggest a weekday rather than a weekend, so we have more homes to view. Would seeing more of the homes available be of benefit to you? If I am able to listen properly and you are able to articulate what your needs are, we should be able to find the home you’ll buy within the first five homes we look at. If I find that within the first five homes we’re not doing that, then we have a problem. At that point, I’ll ask you more questions so I can reevaluate your needs. Fair enough? I would be incompetent if I showed you that many homes. You are interested in finding the home you’re going to buy quickly, aren’t you? I’m going to tell you everything about the homes we will be viewing together, both good and bad. My job is to provide you with enough information so that you can make an intelligent and informed decision. Fair enough? you lose this home? How will you feel if I call you tomorrow and tell you that it’s already sold to someone else? The other Realtor said he would reduce his commission to 4%. That would save us a lot of money. Agent: Boy, that sounds great up front. Let me tell you what concerns me about that. Look at all the number of homes on the market and look at the number of homes that have sold. Quite a difference, huh? Agent: You said you had to be in [Insert Seller’s destination] and you wanted to be there in [Insert Seller’s Timeframe] days with your family, which means this home has to be sold and closed in [Insert Seller’s Timeframe] days. Right? Agent: So if your home is offering less money to agents who show your home and another home that is close in square footage and floor plan to yours is offering the agent more money, which one are they going to show? Seller: The one that offers them the most money. Agent: That’s right. No different than you going to work and being presented with two jobs that are identical, take the same amount of time and effort, and yet one pays more than the other. You would take the one with the most pay just like the Realtors. Right? Agent: So [Insert Seller’s Name], do you want me to keep helping other homes sell or do you really want to be in [Insert Seller’s Destination] in [Insert Seller’s Timeframe] days? The choice is yours. Still on the market in [Insert Seller’s Timeframe] days or possibly sold and closed in [Insert Seller’s Timeframe] days? The Seller sees the market shift and has unrealistic expectations. Agent: [Insert Seller’s name], here’s one of the most important reasons you hire a fiduciary consultant instead of a salesperson. Wouldn’t it be a lot easier for me to just agree with you right now? Seller: Yes. I guess it would. Agent: The sale of your property is simply too important for me to do that. I choose not to fall into the category of just another salesperson telling you what you want to hear. To be perfectly candid with you, it’s much like the old saying: “You never get a second chance to make a first impression.” Have you ever thought about who you are actually marketing your property to? Seller: Well the buyers of course. Agent: Certainly the buyers are important and in reality who is going to bring you those buyers? Seller: Oh, I guess you’re referring to the Realtors. Agent: That’s exactly right. Now let’s think about it for a moment, if you overprice your property, how quickly do you think the word will get around to the Realtor community? Seller: Based on what you’re implying, it will happen pretty quickly. Agent: [Insert Seller’s name], once the Realtors know your property is overpriced, what’s the likelihood of them showing it in our current market? Seller: Pretty slim, I guess. Agent: You’re right. And even if they did show it at this price, isn’t there a very real possibility they would be using your property to sell another home that is priced right? Agent: So why don’t we list your house at a fair price that will get it sold quickly? OK? We know we can always come down later. Agent: Yes, you could do that. Now let me ask you again where are you moving to? Agent: And you need to be there by when? Agent: [Insert Seller’s name], with homes taking [Insert average sales time] days to sell, we are already behind your goal aren’t we? Agent: So the question is do you want to be at a higher price and continually lower it or do you want to be in [Insert Seller’s destination] as quickly as possible? Agent: Great let’s price it right and get it sold so you can be where you need to be in the time you need to be there. OK? Agent: So simply sign the contract and put me to work for you. Agent: You could do that. Out of curiosity has there ever been a time when you saw a home on the market for a long time? Agent: And what were your thoughts about that home? Seller: I wondered what was wrong with it? Agent: [Insert Seller’s name], that’s exactly what buyers think. So the real question is do you want buyers to think something is wrong with your question is do you want buyers to think something is wrong with your home and that’s why you have to drop the price or do you want to price it right and make the most money? Seller: I want to make the most money. Agent: Great. So that automatically tells us we need to price it right after all. If we priced it at $299,900 and it sold, wouldn’t that bring you more money than pricing it at $350,000 and then dropping the price every month until the buyers start thinking something is wrong with it and you end up getting an offer at $279,900? After all, which is better: $299,900 or $279,900? Agent: Great. I’m glad you agree on the price of $299,900 so we can sell your home. Simply sign the contract and put me to work for you, OK? The Seller has fear of selling at the wrong time. We just can’t afford to sell now when the prices are down. Agent: [Insert Seller’s name], I understand the price you get for your home is important to you and you want the highest price possible. Right? Agent: Here is the number of all the properties for sale and here is the number of all the properties sold. So you can see the sold number is much smaller than the for sale number. Right? Agent: Luckily you are becoming aware that only the homes that are priced right make it on to the sold list. Does that make sense? Agent: [Insert Seller’s name], you want to buy a new home and want your home to be sold [Insert Seller’s timeframe]. Correct? Agent: In order to sell your home we need to price it right. Don’t you agree? Agent: [Insert Seller’s name], you want the highest price the market will bear. Frankly you need a realtor that understands the market and can interpret it. Like me. Let’s choose a price that will get it sold, OK? Seller: OK, let’s do it. The Seller has unrealistic expectations about the value of their home. We just don’t think that the market is nearly as bad as everyone thinks, and our house is a lot nicer than the others in the neighborhood. Agent: [Insert Seller’s Name], I can appreciate where you are coming from and let’s take a quick look at the market statistics for your area. Today there are [Insert Date] times the number of houses on the market than there were just a year ago and as you can see sales are down approximately [Insert data] percent. From a marketing stand point this theory is called supply and demand. Therefore when the supply goes up and the demand goes down what has to happen to pricing? Does it go up or down? Agent: Let’s do the right thing and do it based on the shifiting market and price the home where it will sell, not a price that will cause it to expire. Seller: Well our house is better than the others. Agent: I completely respect your belief in the value of your home. And I’m curious, has there ever been a time in your life when you were surprised when you saw the asking price of something? Agent: Then let’s make the wise decision to price it right so that you can move forward with your plans. OK? The Seller is afraid that the sale price will not cover what is owned on the mortgage. We have to get a higher price or we won’t be able to pay our closing cost. Agent: [Insert Seller’s name], I can appreciate your concerns, and let me ask you: Have you ever bought stocks or known of someone who has? Agent: Well let’s say that you bought stock at $39 per share and now you need to sell the stock and it is worth $29 per share. Does the stock market care that you are going to lose money? Agent: Well the real estate market is just like the stock market. It dictates what properties will sell for. In essence, the buyers tell us what they are willing to pay for a home in this area at this time which makes the market. The market is telling us this is the price your home will sell for. Let me ask you, do you have friends, family, or a credit card we could borrow the extra money from to cover the deficit? Seller: Yes, but I don’t want to do that. Agent: Well I understand and what are your options? First one, we place the home on the market at a high price and let it sit. Now, in our market, prices are going which way: up or down? Agent: That’s right. So it will never sell. Second, we could price it right and borrow the money from friends, family or a credit card and get it sold. Or, third, we could not sell at all and stay right where you are, losing money every month. Which is the best choice for you? Seller: I don’t like any of those choices. Agent: I don’t blame you and yet it is reality. You did want me to be honest with you didn’t you? Agent: Remember I am here to help you. Has there ever been a time when you had to give up one thing in order to move ahead to get another? Agent: Well this time is like that time. Let’s give up some now and cause the pain to go away, knowing you will heal and be back on your feet soon. This will be something you’ll look back on and say I’m glad I moved forward with my life. OK? The Seller may not be willing to bring his property up to standard. All the agents that have been through have loved our home and have told us how nice it is. Agent: [Insert Seller’s name], I can appreciate that. You do have a very nice property, otherwise I wouldn’t be here. The ultimate question is: are those Realtors going to buy your house? Seller: Well, no I don’t think so. Agent: Just out of curiosity, let’s pretend you were a Realtor and in order to make money you had to attract buyers so you could sell them a home and you know that most buyers call from the signs in front of homes. How many signs would you want to have out to attract buyers? Seller: As many as I could. Agent: That’s right, all Realtors would. And let’s say you came to my home and you didn’t care if my home sold as long as you could get a sign in front and attract a lot of buyers. Might you tell me anything I wanted to hear in order to get your sign in front of my house, attract a lot of buyer calls and sell them other houses? Agent: The agents that were here before me may not have as high of standards that I do. Maybe that’s why the homes that have my signs in front of them also have sold signs on them. You want an agent that tells you the truth right? my area and (3) I get more money in less time because the standards I have for my sellers are placing their home on the market in the best possible condition so it screams value over all the other homes a buyer is comparing their home to. Because my sellers want the most money and the quickest sale possible they bring their home to the highest standards and you do want the most money right? Agent: Since buyers will look at about 10 to 12 homes before deciding which one to buy, it means your home will be in competition with 9 to 11 other homes at all times. Let’s show as much value to the buyers as possible and make the other homes pale in comparison to yours. Doesn’t that make sense? Agent: [Insert Seller’s name], I can appreciate that. Do you remember when you were buying this house? Agent: Think back to when you saw a room that needed to be painted. Did you think in terms of the cost of the paint, or did you go, oh we’ll have to get a professional painter and that will cost $1,000? Seller: If I’m honest, I’m sure we thought of how much a painter would cost. Agent: That’s how 99% of the buyers think. So does it make more sense for you to paint the three bedrooms yourself or have the buyers deduct another $1,000 from your asking price? Seller: Why do you say $1,000? Why wouldn’t you say $500? Agent: Think about it. Have you ever watched anyone buy a house and be realistic about the actual fix up or repair amount? Seller: Well, no, probably not. Agent: Of course not. When buyers go through the property, aren’t they typically looking for excuses to reduce the price they want to offer on the property? Doesn’t it make more senses to eliminate those excuses up front? Agent: Good! Let’s walk through your home and look at it through the eyes of a buyer and determine what we need to do to get you the most money, OK? Do you really want to sell your house? Are you willing to price your house to sell or do you want it to sit on the market? Do you want me to sell it for you? When do you need to be there? What is important to you about that? Ultimately, what will all of that do for you? Don’t you think you deserve that? Then let’s DO THE RIGHT THING and get your house on the market right away. The National Association of Realtors states that if we go two weeks without a showing, or we have ten showings without a single offer, then it’s time to adjust and improve the price of your home. So, if we go two weeks without a showing or we have ten showings without an offer, then I want you to expect a call from me. At that time I’m going to ask you adjust and improve the price so that we can accomplish our goal of selling your house. Remember, I don’t make the market, I simply interpret it – does that make sense? Hello Mr./Mrs. Seller, my name is ________ with Keller Williams Realty and this is Mr. / Mrs. __________. We appreciate the opportunity to look at your home. If it would be all right we’ll just go through ourselves. Where will you be in case we have any questions? 11. By selling now, you may have an opportunity to be a noncontingent buyer during the spring, when many more houses are on the market for less money! This will allow you to sell high and buy low! 10. You can sell now for more money and we will provide for a delayed closing or extended occupancy until early next year! 9. Even though your house will be on the market, you still have the option to restrict showings during the six or seven days around the holidays! 8. January is traditionally the month for employees to begin new jobs. Since transferees can’t wait until spring to buy, you need to be on the market during the holidays to capture that market! 7. Some people must buy before the end of the year for tax reasons! 6. Buyers have more time to look for a home during the holidays than they do during a working week! 5. Buyers are more emotional during the holidays, so they are more likely to pay your price! 4. Houses show better when decorated for the holidays! 3. Since the supply of listings will dramatically increase in January, there will be less demand for your particular home! Less demand means less money for you! 2. Serious buyers have fewer houses to choose from during the holidays and less competition means more money for you! 1. People who look for homes during the holidays are more serious buyers! When we’re successful in (finding you a home or selling your house), I’m going to ask a favor. I’m going to ask you to refer us and our services to someone whom you feel is in need of them. I’m not going to ask you now; first, I’ve got to earn your trust and confidence by accomplishing your goals. Then once that’s done, I’ll ask you. Does that sound fair? 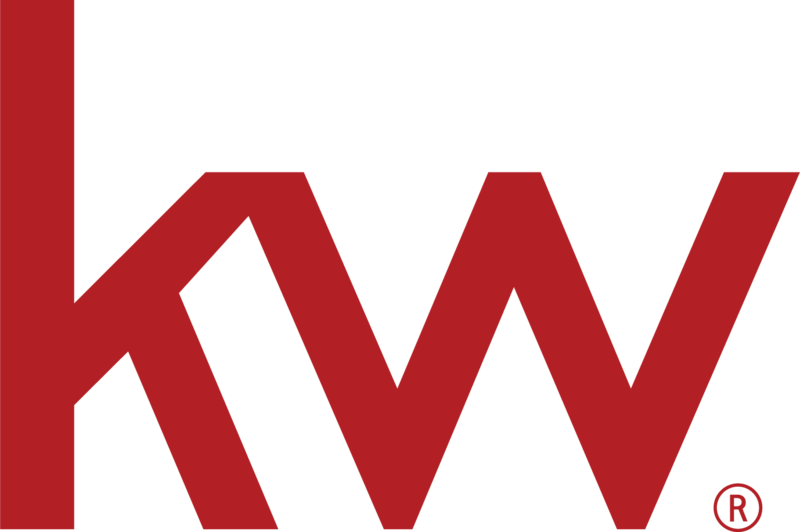 By the way, it doesn’t matter what part of North America they are in; I have a network of almost 80,000 Keller Williams Agents that I can refer them to so that they can experience the same level of professionalism that I intend to provide for you – fair enough? Other than ___________, is there any reason you wouldn’t _________________ today? No one will work harder or more professionally for you than our team. Our team promises to ______________________ at the best possible price, get you to the closing table with the least amount of hassle possible, and do it within the time frame that you desire. You know, they say price is only an issue when you don’t want something. Your family’s happiness holds far greater value than the small difference in price, doesn’t it? Let’s go write it up and get you on your way to years of happy memories. Sound good? The traditional agent is a “jack of all trades” and a master of none. I’m a buyer specialist, which means all I do is work with buyers. My sole job is to find you the perfect home. So I have to ask, what kind of an agent would you like to work with? One who works with buyers 100 percent of the time, or somebody who works with buyers, sellers, mortgage companies, inspections, and everything else in between? You want my kind right? I don’t try to sell you any particular home. What I do is sell you on our service. You pick the home and we will help you buy it at the best possible price and terms. Fair enough? Proven real estate tools to help you win more business. Embark on a transformative seven-week journey. Register for a BOLD location near you! Join us for our KW MAPS Coaching live events including Mega Camp and Family Reunion.